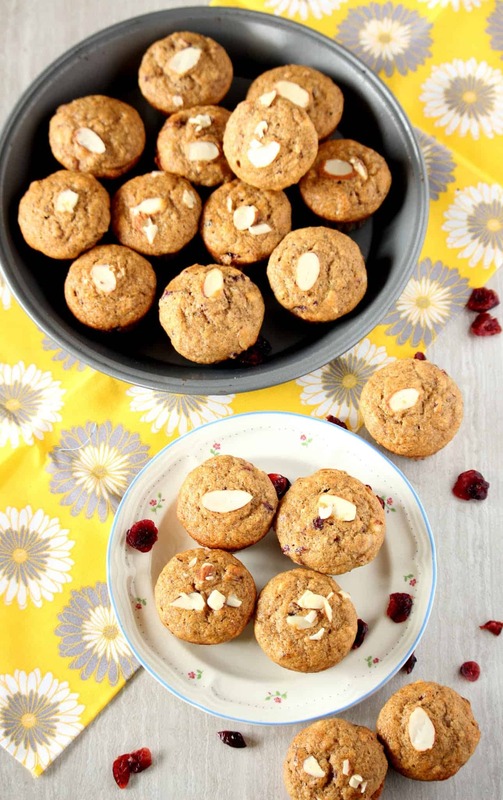 Gai Mei Bao is yet another lovely bake that I had my eyes on ever since these two lovely girls, Priya Srinivasan and Priya Suresh baked it for the We Knead to bake group. I was out of the group for a while and hence I could not bake with them, but I was so glad I stumbled into the recipe. One of the many best things in Oklahoma is the Vietnamese market that we visit quite often. 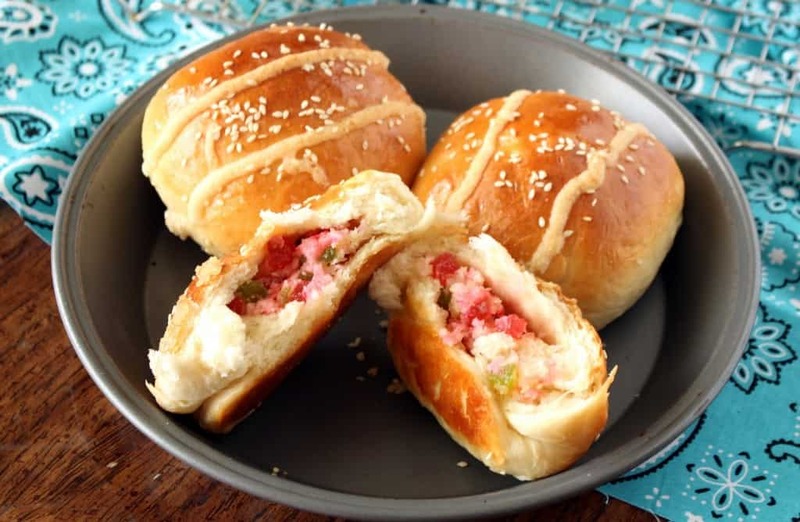 This place has some lovely bakery products and this Gai Mei Bao cocktail bun is one among them. As much as I love these coconut and cream filled buns from the store, I hated that they always overfilled the buns and it was very heavy. 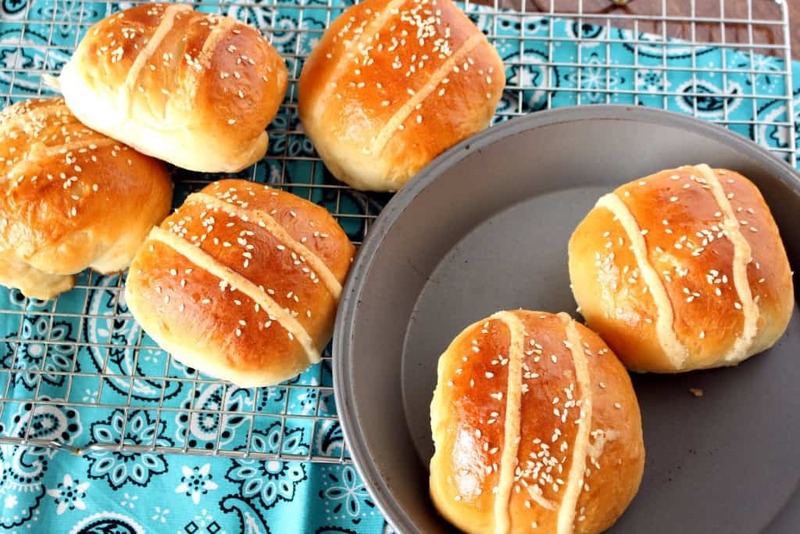 When I saw that I could make these cocktail buns at home, I was beyond excited. 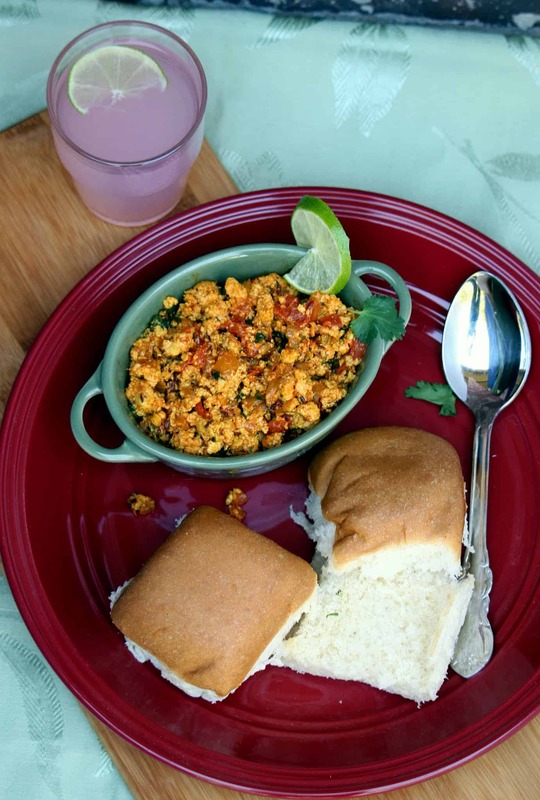 My husband loves the coconut and the cream in the bun and asked me to add tutti frutti to the buns as they reminded him of the coconut buns that we get in the bakeries in India. The Gai Mei Bao buns are very easy to make the reading the history behind the buns was interesting. 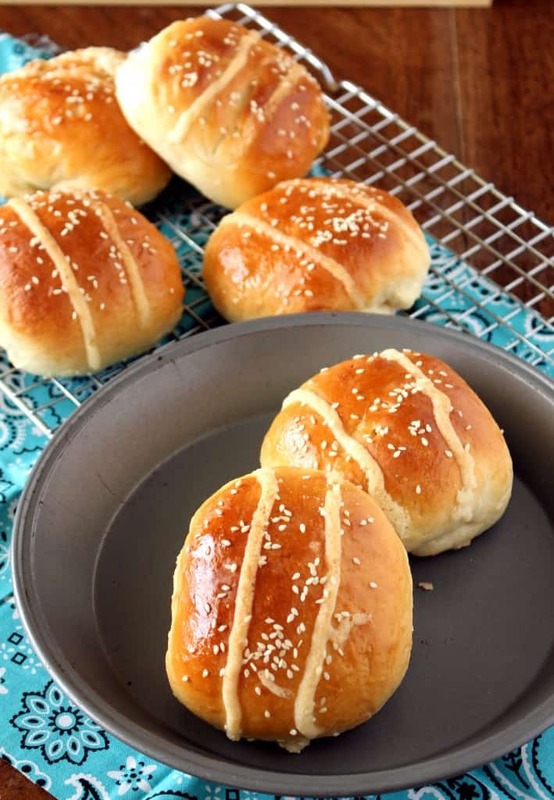 I read that these buns were created back in the 1950’s in a bakery in Hong Kong. 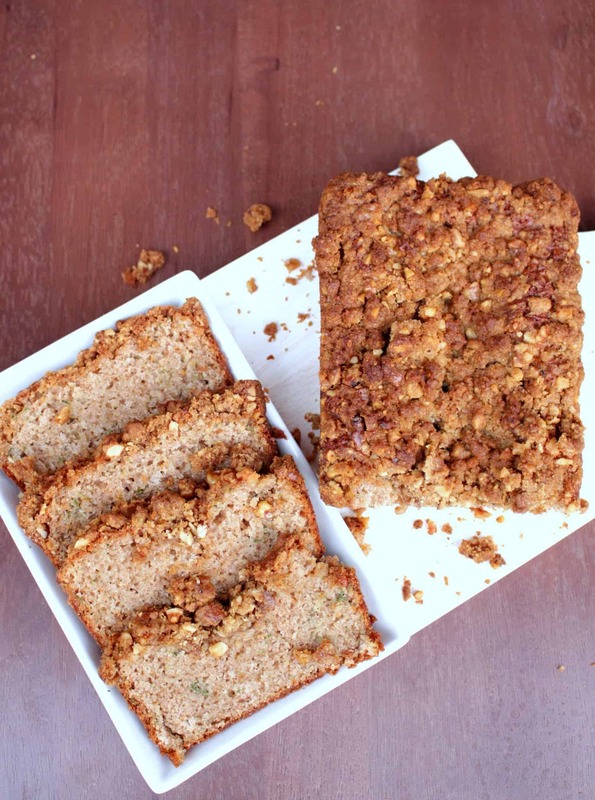 The owners of the bakery had lot of edible breads that went waste every day and they used this recipe to use up the leftover bakes. 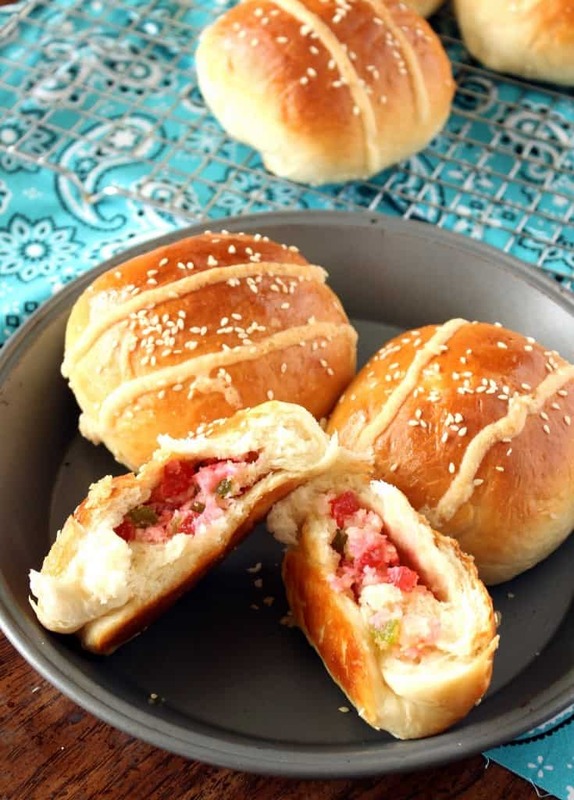 They ground the leftover bread with some sugar and butter and wrapped some fresh bread dough around it to make it as the stuffed cocktail buns. The idea of using the leftovers was pretty amazing, but they don’t use that any more. They now use coconut and butter as the filing. I made the dough in my food processor. 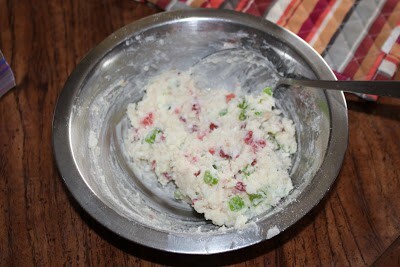 Combine the dry ingredients and pulse it for couple of minutes. Now add the warm milk and knead until smooth and soft dough forms. Add the milk in batches as we might not need all the 1 cup of it. Place the dough in a large greased bowl and let it rise in a warm, draft-free place for 1 ½ hours or until doubled in volume. Mix all the ingredients mentioned under the filling into a smooth paste. Mix all the ingredients mentioned in the list into a smooth paste and transfer this paste into a piping bag. I used a zip lock bag as a piping bag. I made a small hole in a corner and then used it to draw the lines on the buns. 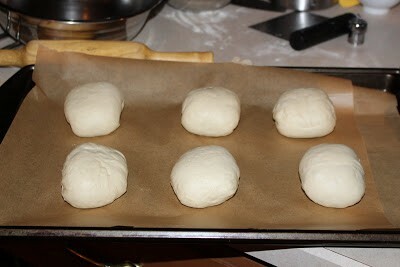 Once the dough has doubled in volume, punch it down gently and then divide into 6 equal parts. Roll the balls into an oval shape. Place a tbsp of filling in the middle of the dough and then bring the two long sides to the center and pinch it well to seal the filling. Now bring the top and the bottom to the center and then pinch to seal. 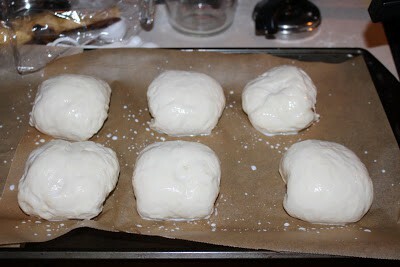 Sealing the buns well is very important; otherwise the filling will begin to ooze out. 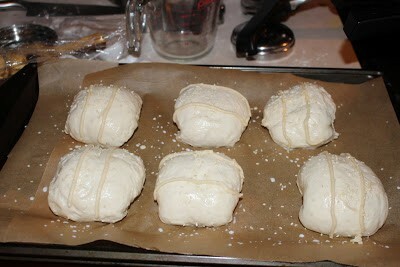 Place the shaped buns on a parchment lined baking sheet, seam side down. Let the buns rise again for the second time for about 45 minutes or until fluffed up. Brush the buns with milk liberally. 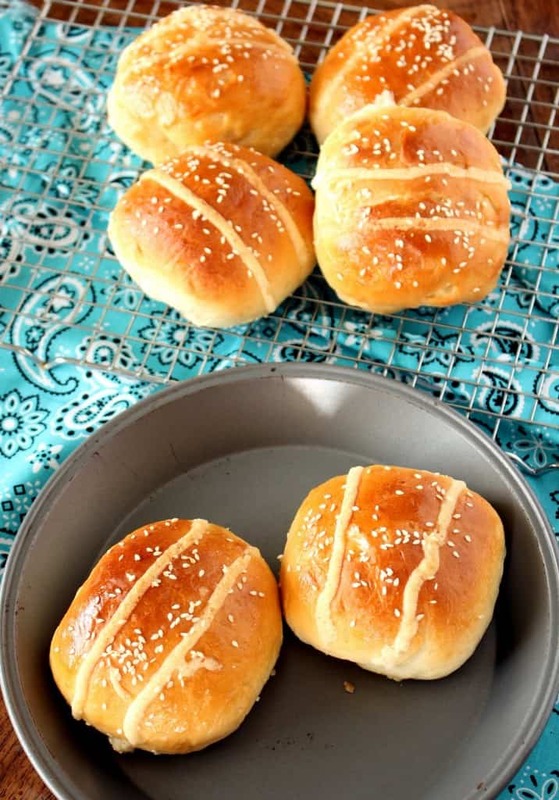 Draw two long lines over the buns with the topping. Sprinkle the sesame seeds. Preheat the oven to 350 F and bake the buns for 20 to 25 minutes or until golden brown. Once the buns come out of the oven, mix the glaze ingredients together and then brush the buns right away with the glaze. 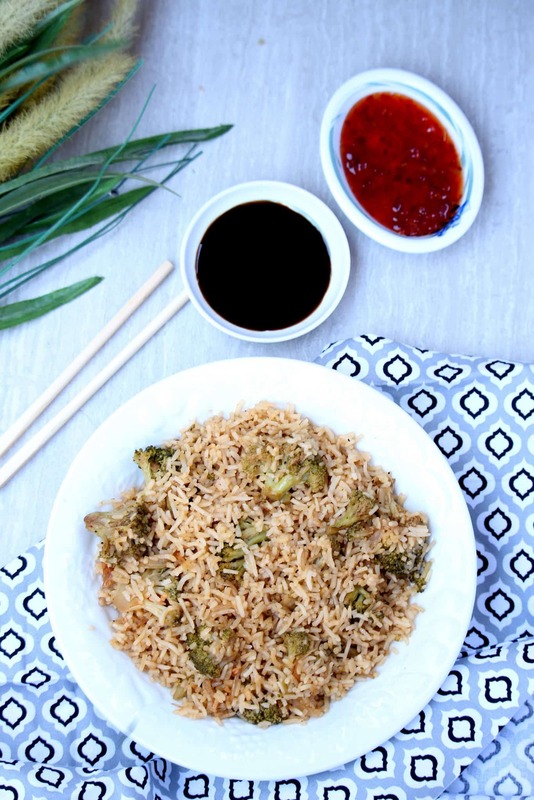 Serve Gai Mei Bao warm or at room temperature. Ahh,thanks for the mention sandhya!! Buns look real yummm!! 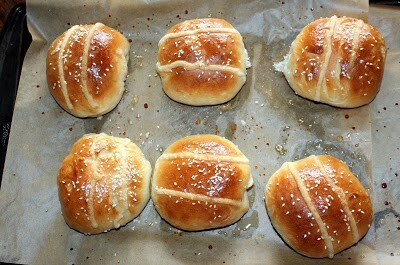 Ah those buns look so well done!..very nice one.. These came out amazing. I sometimes have trouble with yeast recipes. These look perfect for a sweet treat! I know what you mean about sickly cream buns. I too love using the food processor to make things easier, but I never thought of using it for bread dough. 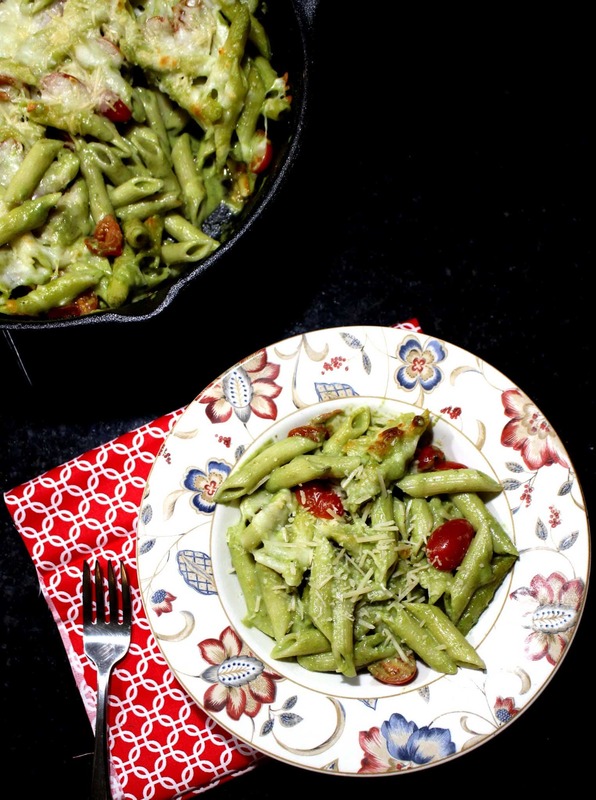 I like the bun recipe and the rest of the article, too! 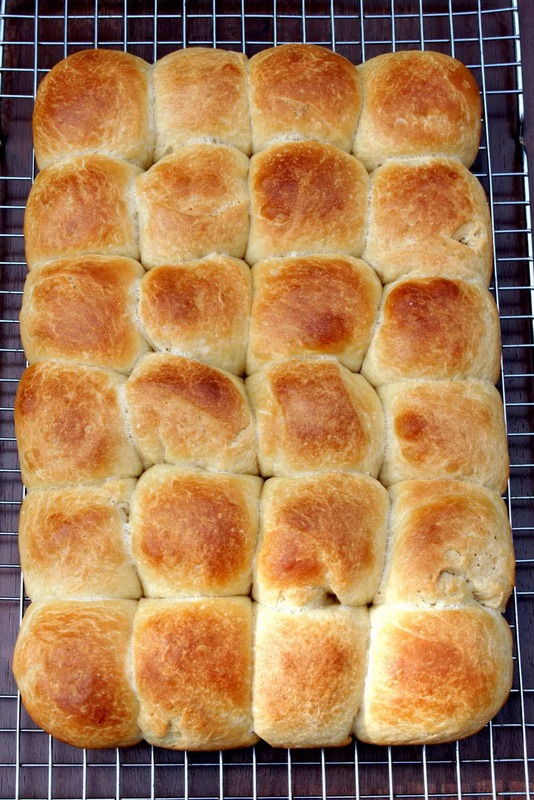 These are gorgeous and almost look too easy for homemade stuffed rolls! The filling looks amazing. 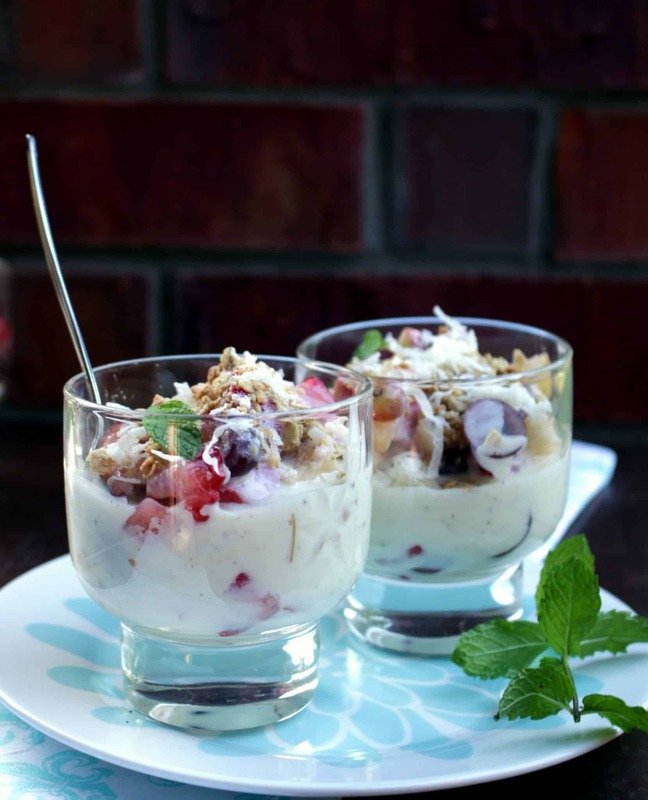 I have never seen a recipe using tutti frutti before. Interesting!